We’ve successfully migrated our cloud platform to Amazon Web Services and the move is already paying off. Clients have reported improved stability and response times, and our own analytics are suggesting that, on average, client sites are three times faster. Remember, though, that individual results can vary and not all clients will experience the same results. Clients with custom domain names who haven’t already updated their DNS settings to point to our new IP address need to do so by September 4th. That’s when we will drop our old IP address. For instructions on working with your domain name provider to update your DNS settings, click here. If you don’t know who your domain name provider is, you can click here to find out. For more information on Wild Apricot’s migration to Amazon Web Services, including answers to frequently asked questions, click here. Wild Apricot can now install a free security certificate for custom domains from Let’s Encrypt. And since installing security certificates from Let's Encrypt is simpler than installing certificates from other vendors, Wild Apricot does not charge an installation fee or a renewal fee. On July 24th, we released a minor update of Wild Apricot, Version 5.11.3. Along with a number of bug fixes, we released the ability to restrict access to individual files on your Wild Apricot site by membership levels and member groups, to full administrators only. 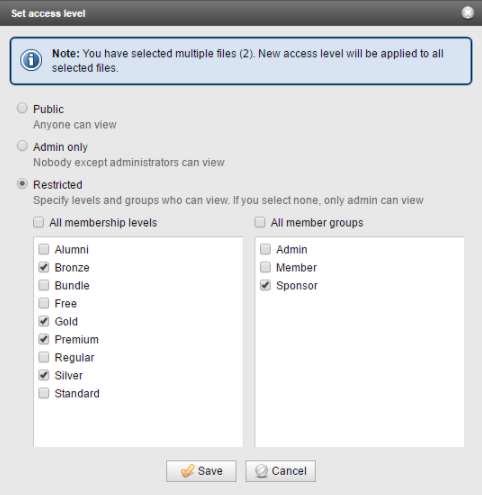 That way, only those who belong to the membership levels or member groups you choose can view a particular image or access a particular document. See below. Previously, files could be accessed via a direct link even if they appeared on restricted pages. Now you can restrict file access from the Files screen or from the Insert dialog that appears when you insert a picture or file. For instructions on restricting file access, click here. 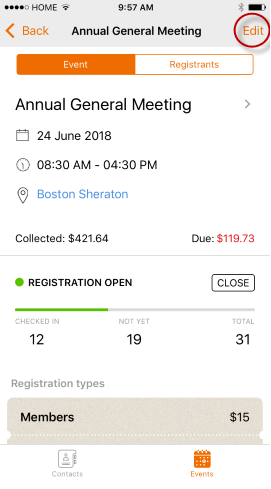 You can now create, edit, and delete events from Wild Apricot’s mobile app (see the red circle in the picture below). And while you’re editing the event details, you can add, modify, and delete registration types, tags, and other settings. Here are the links to download our free mobile app for iOS or Android. Sign up now and we'll see you on August 23, at 2:00 PM (ET) / 11:00 AM (PT). 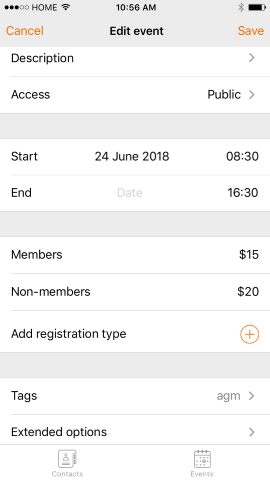 If you’re looking to connect with other Wild Apricot users to discuss tips, share strategies, and get peer support, join our Facebook Group, The Wild Apricot Membership Tribe. Every day Wild Apricot users ask each other for tips to enhance features, best practices for managing memberships, and how others are designing their Wild Apricot sites. If you haven’t yet joined, we don’t want you to miss out. Here’s the link to join, and we’ll see you in the group! Based on 340 customer reviews, Software Advice gave Wild Apricot an award for Top 5 Easy to Use Membership Management Software! A big thank you to all our customers who helped us achieve this distinction. It’s our goal to continue to make Wild Apricot the best membership management software on the market.